I hope you had a relaxing summer and are ready for a new school year! 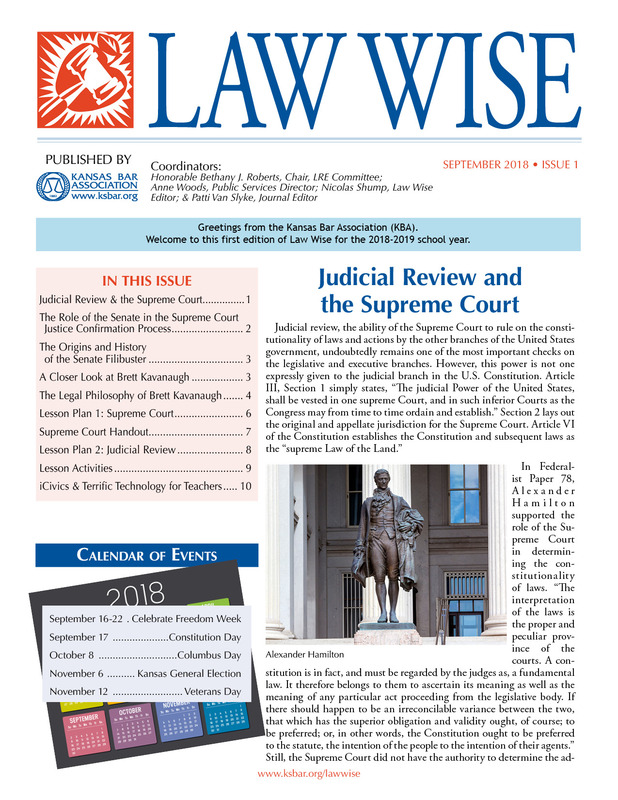 The September Law Wise features issues that are currently in the news. The importance of Judicial Review. The role of the US Senate in the U.S. Supreme Court Justice Confirmation Process. A lesson plan on how the U.S. Supreme Court works. A lesson plan on judicial review.